Rare porcelain enamel insurance sign. 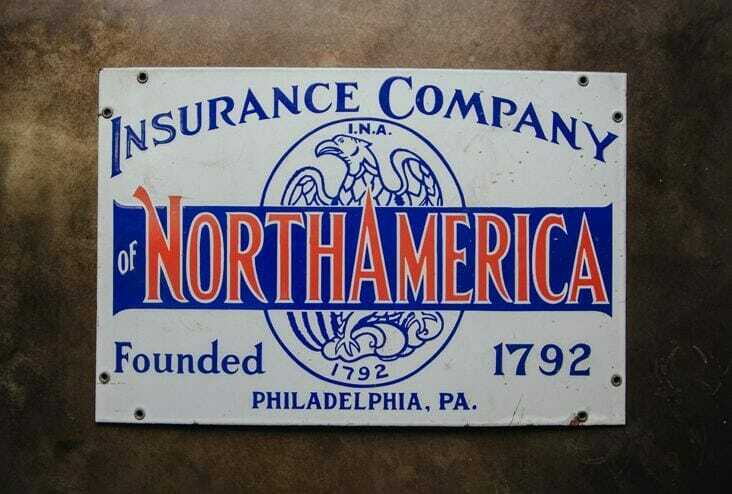 Founded in 1792 in Philadelphia, the Insurance Company of North America is one of the country’s oldest stock insurance companies. The eagle and red, white, and blue palette lend a patriotic feel. Two grommets on each corner for hanging.